Our rain fall this year has been practically nothing, but the lack of showers did not hamper the blooming of May flowers. The farm is bursting with color and I will relish it for as long as it holds out. 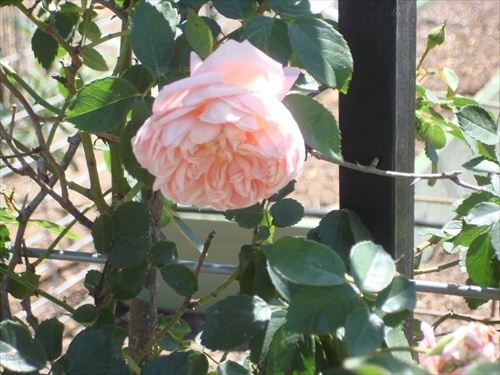 Antique roses cover every arbor on the farm and the delicate fragrance that wafts through the night air is intoxicating. 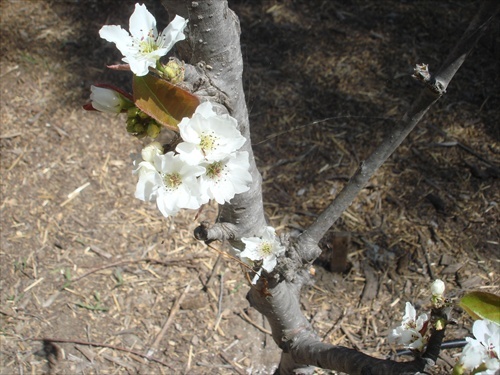 Apple blooms are a promise of fall’s juicy crispness. Cider, tarts, pies and fresh eating are still months away, but nonetheless thought of. 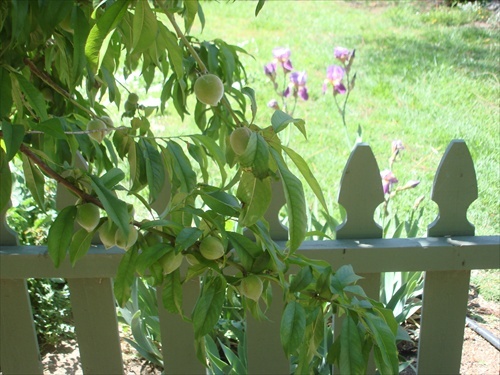 The little peach tree is laden with small fruit. By July we’ll be eating them by the dozen. I can’t wait to make the first tartin of the season. 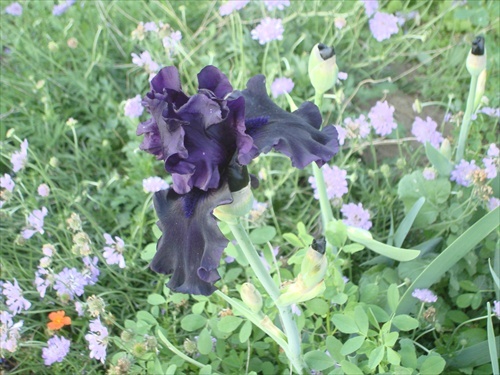 The deepest purple of this bearded iris makes it look almost black. Flowers like this are a reminder of wonderful friends. I got a few rhizomes from a fellow garden club member who loves to share. And, I will share too, I have no choice, everyone who sees it places an order for a bulb at dividing time. Fortunately for me that won’t be for another year or so.